Fields of blue agave in the valles region outside of Tequila. It’s the heart of your mezcal and the culture around it but how much is the actual agave worth and who’s getting paid? And why is it so god damned expensive? There are no easy answers but lots of trends. For much of this year we’ve been hearing that the price of agave in tequila country has been as high as recent memory. In 2016 it was already expensive at 10 pesos per kilo, then it spiked to 18, 19, and 21 pesos per kilo in the summer of 2017. On my recent trip to Guadalajara I heard some people say the price had softened a bit to the 17-18 peso per kilo range. Meanwhile in Oaxaca the price of agave has been rising as well, but closer to the 10 peso per kilo range. Why should this matter to you? 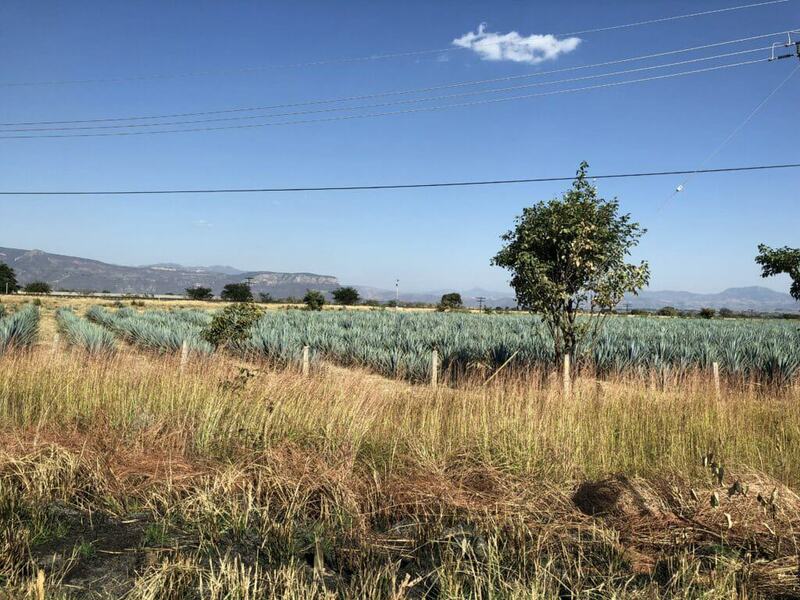 Obviously the price of agave helps determine the price of tequila and mezcal so whatever you’re paying reflects what’s going on out there in the fields of Oaxaca, Jalisco, and across Mexico. But it’s also of critical importance to the health of the tequila and mezcal industries and all the people involved in them because when they can’t sell bottles, they don’t get paid. And when they don’t get paid, people go hungry. A while back I had a fascinating conversation with a prominent mezcal maker who told me that mezcal was in such low demand in the 90’s that his family just stored whatever they were making wherever they could. It got to the point where their house was full of garafones and bottles which meant that they had to ask friends and relatives to store them as well. That family was fortunate to weather the storm because years later they could turn around and sell that stock. Most people can’t wait that long so they just sell what they have at a loss and usually hurt the rest of the market because prices plunge. In that case no one really wins except for the ignorant drinker who probably has no idea why that mezcal, or tequila, is so cheap, they’re just happy they got a good deal. But really, does anyone know what is actually going on in the agave market? You might assume that low supply and high demand are the only forces driving this market but there are a few other trends converging right now. Are small producers breaking the cycle? The sad state of things has been that tequila and, a to a lesser extent, mezcal have been trapped in a production cycle that creates its own booms and busts. This is especially acute in the tequila world because there is so much more money and production in play. Generally it works like this, when prices are high, more people plant agave which, generally, leads to a glut 5-7 years after that peak when those agaves mature. Farmers get wiped out at the bottom of the cycle and try to make it all back at the top. Other factors like infestations and radical weather can make for spikes as well, something that the tequila business has long encountered. There was an especially disastrous season in 2000 when a blight struck the blue agaves, then the weakened plants were further hurt by a frost. 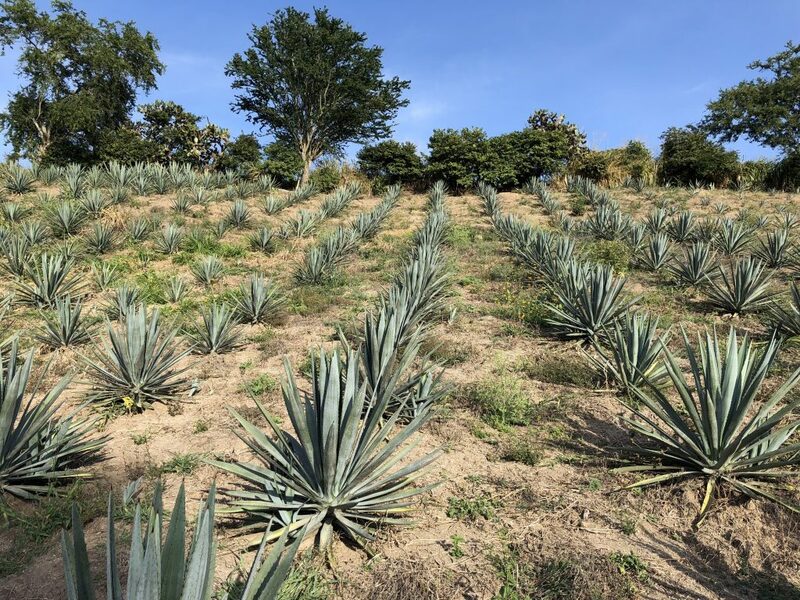 After that many of the large distillers decided to move away from dependence on independent growers and, per the Tequila Regulatory Council, at least a third of all plants are now owned by large distillers. The somewhat perverse outcomes of all of this are that small growers have been forced out of the business while tequila has become a major commodity on American bars. So, one immediate interpretation of high prices is that the little guys are finally getting paid. Woohoo, throw your hats into the air and high five everyone around you. The rich may be always getting richer but at least the poor get a bone here and there. So, really, is it necessarily a bad thing that agave prices are that high? If much of that is going into the pocket of independent growers, isn’t a high price actually be a positive step towards stabilizing the cultivation of agave and a sustainable economic situation for everyone involved in the business? Maybe they’re just gaming the market? Another theory is that, no, actually the only reason the price is high is that agave growers, who are called agaveros in Jalisco, are gaming the market and holding out for even higher prices. This may be more of a rumor than a determinant fact of the market but people have pointed out that at least some independent fields are full of overripe agaves. Others mention stories of agaveros cutting a deal for a price then returning to bargain higher. I’m really unsure of how much validity to give that theory partially because no one is really talking to farmers and, sad to say, few people are really reporting what they’re seeing out there in the wild world of agave cultivation. This past fall Punch’s Alec Jacobsen offered a very nuanced portrait of the various growers that follows those small players who really depend on these cyclical spikes as well as at least one which plays arbitrage to broaden her business even further. That article brings a tremendous amount of nuance by highlighting farmers at all levels of the business, something that we want to do much more. Could it just be the agave syrup craze? One big new factor is the growth of agave syrup. Lots of people point fingers in that direction and warn that the whole business of agave syrup is undervaluing the true costs of cultivating agave plants which eats away at the value that they could provide to comparatively high value Mexican exports like tequila or mezcal. And that’s before anyone really considers the question of whether any of the health claims for agave syrup are valid. This is also a really difficult element to quantify. We know that an absolutely enormous amount of agave syrup is being produced but how much and where it’s produced are big open questions. Growers in Oaxaca have long pointed fingers at the tequila industry because they see trucks full of piñas with Jalisco plates on them heading north. It’s equally possible that those piñas are being shoved into the maw of the agave syrup industry or even used as agave sugars to help fermentation in the tequila business. Again, mystery and very little reporting make it very difficult to determine what’s going on. What shortage? Other agaves grown in Jalisco and other states may not be experiencing the same price crunch. Unfortunately we just don’t know enough to really make a reliable conclusion. Clearly there are a lot of factors in the Mexican agave market so there may be a variety of culprits. We’ll keep researching and reporting so if you have ideas send them our way. I took a trip to Guadalajara in December partially just to get a better handle on things and came away with even more questions. And that’s a good thing because ideally the conclusion you’ll come to is similar to the one I’m using as my operating standard, that is, it’s more complex than you think. But don’t think that let’s you off the hook. As we keep preaching, all good things have a price so look askance at the really cheap stuff, and that means you in the bar world. In that battle for the well – pick the bottle that most represents the quality that you want people to associate with your establishment. Paying a little more isn’t going to break the bank and making a point of talking to your patrons about that fact will only reflect well on you. To turn that around, as Khrys Maxwell and many others have noted, if you’re paying bargain basement prices for well tequilas, you’re hurting someone.